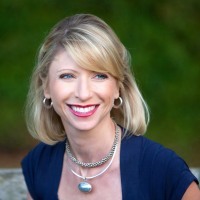 “If you act powerfully, you will begin to think powerfully.” Amy Cuddy is a Harvard Business School professor who studies how we perceive and are influenced by other people and vice versa. She’ll show attendees how to channel nonverbal behavior into persuasive leadership, by demonstrating that physical posture not only affects how others see you, but also how you see yourself, your own hormone levels, and your performance and important life outcomes. Power posing—even for as little as two minutes before as stressful social evaluation, like a job interview—can actually alter an individual at the biological level and prepare the brain for stressful, high-stakes situations. Her work on power posing has won praise worldwide. Amy’s research has been published in top academic journals and she has received numer­ous accolades and academic awards for her groundbreaking research. Her TED talk, “Your Body Language Shapes Who You Are”, posted in October 2012, has been streamed over 7 million times and is already one of the all-time most viewed talks on the TED site. Mashable.com chose it as one of 15 TED Talks That Will Change Your Life. The Guardian calls it one of 20 Online Talks That Could Change Your Life. Amy’s work has been featured throughout popular media, including the Today Show, CNN, MSNBC and in Fast Company, Harvard Magazine, Wired, The New York Times, and even as the theme of a Dilbert and Betty comic strips. TIME magazine named Amy as one of 2012’s “Game Changers” and Business Insider chose her as one of the 50 Women Who Are Changing The World, 2013. Amy holds a PhD in Psychology from Princ­eton University and BA in Psychology from the University of Colorado. Prior to joining HBS, she was an Assistant Professor at the Kellogg School of Management at Northwestern Univer­sity. At Harvard, Amy teaches MBA, executive education, and doctoral courses on influence & persuasion, leadership, and decision making. She is also a classically trained (and still practicing) ballet dancer, which informs her research on nonverbal communication.